You will notice something different when you go to your SANFL IGA League game from this weekend. 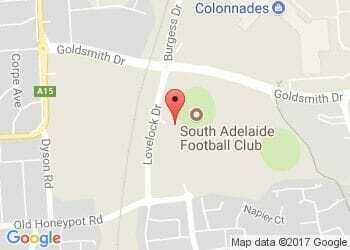 SANFL have introduced barcoded entry to all venues. This means members will no longer need to have entry cards "clipped", when you enter a game as it will be scanned. Why have we done this? Simply, we are moving with the times. However, tracking member and supporter attendances across our grounds will provide much more than a professional service to attendees. You won't need to do anything further with your card(s). Just simply have the barcode scan when you arrive at the game. Of course, with any new system we might have a few minor issues in the first couple of weeks. Please be patient with the gate staff as they get to know the system better. Of course, if you have any issues, please contact your card or pass issuer to assist. Prices will remain the same for the fourth year in succession Adults ($14), Concession ($8), Children Under-18 (Free).